T/O Marham 2400. Non operational transit flight to Malta. Crashed 0100 after flying into the London ballooon barrage near Iver, Buckinghamshirein. 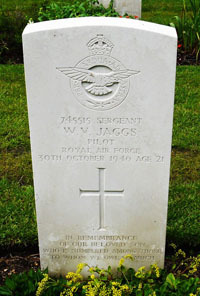 Son of Walter Frederick and Mabel Eileen Jaggs, of Sutton, Surrey; husband of Mabel Gladys Grace Jaggs. Son of Ernest Alfred and Annie Elizabeth Elliott, of Newport. 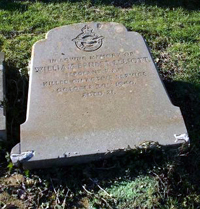 Private headstone - Carisbrooke Cemetery, Newport - Sec. F. Grave 15. Fisher Edward - W.Op./Air Gnr. Son of Willie and Louisa Fisher, of Hemsworth. Hemsworth Cemetery - Cons. Grave 1250. Draper Kenneth Raymond - Air Gnr. Son of Leonard and Ethel May Draper; nephew of Mr. F. C. Verity of Islington, London. Hillingdon and Uxbridge Cemetery - Row N.D. Grave 23.